It may not come as a surprise to learn that I descend from a clan of bakers all of whom know their way around the wooden spoon and the whisk. The most legitimate of these family members is my aunt who owns her own bakery but my uncle makes one mean tiramisu. You have already met my aunt’s sugar cookies and I have another aunt who is responsible for giving me both my first pie crust lessons and the inaugural Bundt pan in my collection. To this day I still refer to her as “The Bundt Master” but she happens to also know a thing or two about margaritas. Over the years I have been fortunate to receive bits of baking wisdom from everyone who I call family, especially the most immediate members – my mom and dad. They fall into two baking camps: the celebratory and the everyday. My mom is the celebratory baker. She bakes for the holidays and has made her fair share of dazzling birthday layer cakes for festive family gatherings. I have learned the secrets to her cinnamon rolls that are reserved for celebratory brunches and I have watched her take almost every single one of her holiday linzer tortes out of the oven. She has demystified the process of anything that requires multiple steps to achieve baking bliss. I have learned my fair share of life lessons over the years but I never did learn how to change a tire. I have only myself to blame for this major life oversight that happened during my teen years and can be explained by me being sixteen and an impatient adolescent. I was supposed to learn before getting my drivers license but somehow I succeeded in letting the rule slip through the cracks. Then I moved to New York and I managed to avoid the need to learn anything about driving all together! The most important life lesson of them all is the afternoon ritual of an iced tea and a brownie. My dad and I are both fast talkers so over the years the phrase has lost all meaning as separate words and has just become one indistinguishable sound – anicedteaandabrownie – meant to signify that the sun has past noon in the sky and it is therefore an acceptable time for sugar and chocolate and iced tea. It doesn’t take much to satisfy the craving but not just anything will do. There are anicedteaandabrownie requirements: the brownie must be dense and fudgy and homemade and cut small. The iced tea is always black and unsweetened and served with extra ice. These are the brownies that my dad and I grew up making on summer afternoons. They aren’t particularly fancy and unlike most of the things I make now they are not spiked with jazzy additions like bourbon or wine or toasted-salty-cardamom-cayenne-spiced-pecans. But these straight-up classic brownies come together in a flash to give you more time for the important things, which is really what the afternoon ritual of anicedteaandabrownie is all about. P.S. If the day happens to require something a tad stronger than unsweetened iced tea may I suggest this fabulous cocktail as a substitute. Preheat oven to 350. Generously butter an 8×8 pan and line with two overlapping sheets of parchment paper. Butter the parchment and set aside. In a heatproof bowl set over a pan of barely simmering water melt together the chocolate and butter, stirring occasionally, until smooth and completely melted. Turn off the heat and carefully remove the bowl (it will be hot!) from the pan of water and set it on a towel on your countertop. Use a wooden spoon to stir in both sugars, then add the vanilla and salt and stir until combined. Add both eggs and mix until fully incorporated. 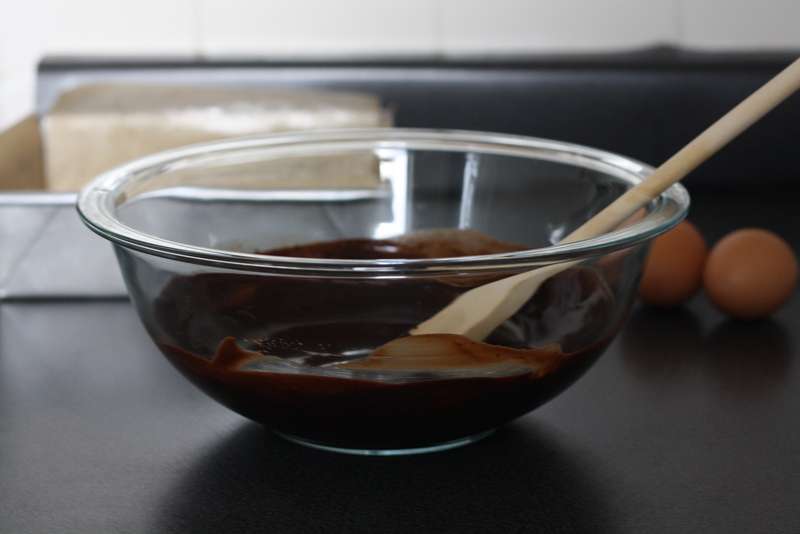 Finally add the flour and stir vigorously until the batter is smooth and glossy. Pour into the prepared pan and bake for 20-25 minutes. The brownies are done when a tester comes out with several crumbs attached (be sure to not overbake as a slightly underbaked brownie usually always wins). 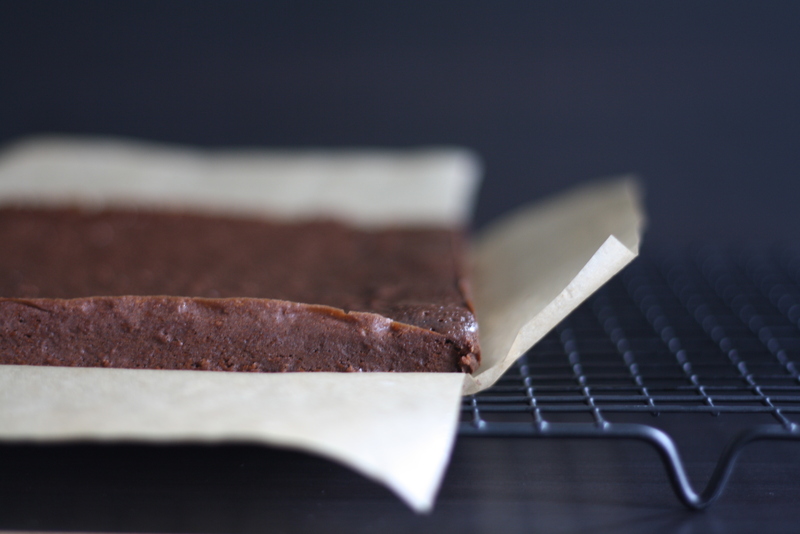 Let the brownies cool for several minutes then use the parchment to remove them from the pan. Slice n’ serve. You’ve inspired me to hit the store for ingredients on the way home. Thanks! 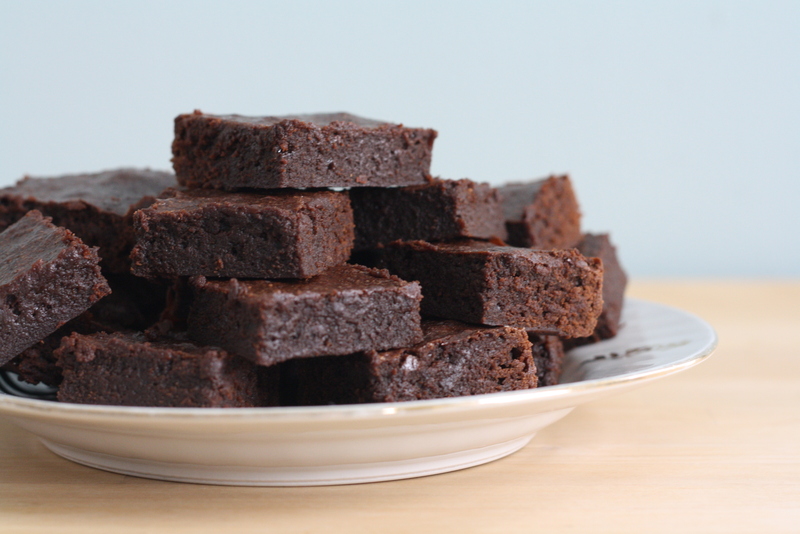 These look wonderful…they are possibly the exact opposite of the brownies I posted today, but hey, there’s room enough in this world for more than one great brownie! Yums! I got an ooey gooey chocolate craving a few nights a go and was forced to whip up some chocolate molten lava cakes. 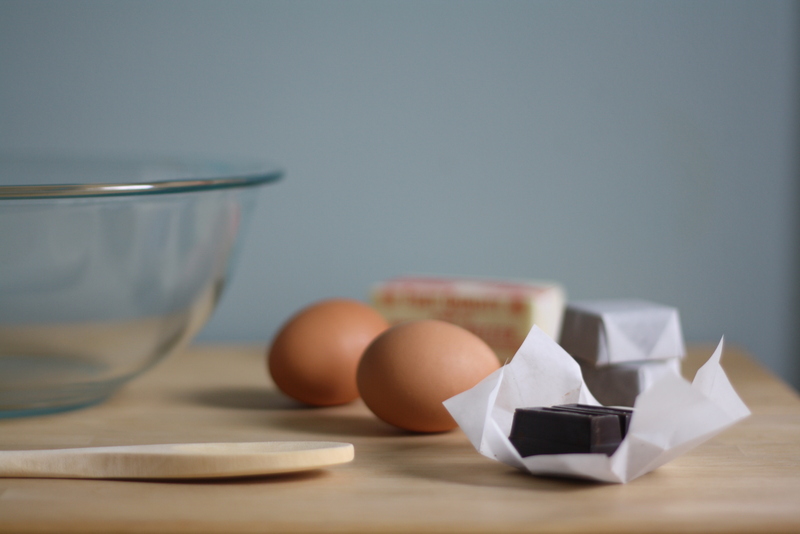 Good to know these brownies are another option requiring the same ingredients and less eggs! I have a serious need for these to appear in my life. One bowl?! Also, I want your family. Sooooo many baking masters! Superwow. I’m gonna make these really soon. Thanks for the lovely recipe!!! 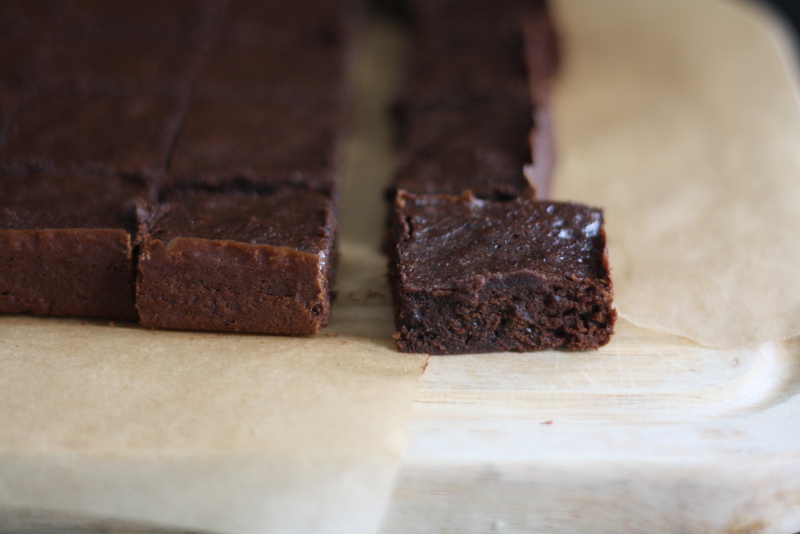 These brownies may convert me from a cakey type brownie person to a dense and fudgy one! Yummy photos, tasty writing, and only one bowl to wash! Liking that! “”whenever I find myself at home he manages to slip me a bit of cash on my way out the door “just in case.””"…. reminds me of my dad!! .. U cant go wrong with these brownies!! I really loved this post! You’re writing is fantastic, if you don’t mind me saying so. This reminded me so much of me and my dad and all of our silly little rituals. Beautiful. I can’t think of anything nicer than anicedteaandabrownie! Thanks for the nice post and yummy recipe. A few days back my little one asked me to make brownies at home for her (we always get them fresh from a nearby home-based bakery and they taste lovely). I’d love to make them as per your recipe. What a wonderful post, Lillie! I loved the back story to these scrumptious looking fudge-brownies. How amazing to grow up surrounded by so much baking knowledge (and delicious baked goods)! I am sure these brownies taste delicious but the tradition behind them makes them even better. YummY! These look absolutely Delicious! Wow, I didn’t know there was such thing. I am going to try this out! Thanks so much! Ahhh, you can’t go wrong with classic brownies. I’m exhausted and it’s 11pm, but I have the sudden urge to start baking up a storm. I swear brownies have changed while I wasn’t looking! You ask Google for a brownie recipe and I’m bombarded with dark brown fudge-like cubes topped with God-only-knows-what-not! Candy cane, salted peanuts, malt balls, dried cherry jelly (huh?) and icing. When did brownies start coming with icing? 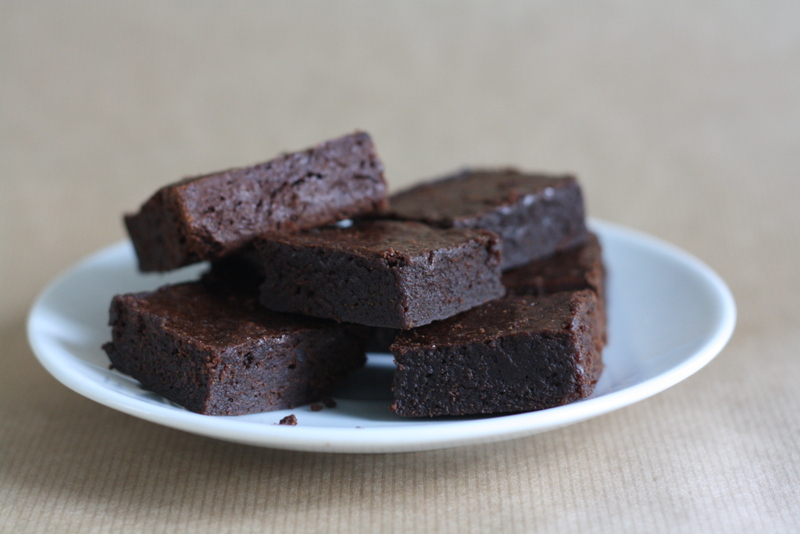 Last week, I had a craving for brownies and I happily went back to Ms. Hepburn’s famous recipe. Yours look divine as well and are being bookmarked as we speak! P.S. :- My dad taught me to firm up my hand-shake too! I guess, dads are wise like that. Almost exactly the recipe I’ve been making for years. And though I do do a bit of improvising these days, as one who has made the same chocolate perfection many times over is want to do, I will be doing exactly as you prescribe here the next time I make them. Thank you. Lovely blog and beautiful pictures, by the way! YOUR CHANGE GAVE ME THE MISSING INGREDIENT to make this box recipe OVER THE TOP…BLUE-RIBBON DELICIOUS. I already had the full recipe amount of butter and chocolate melting when I found this website. My mother’s father was a baker, too, and he made the old-fashioned real custard eclairs that I would pick when we visited his bakery. People who love FRUIT CAKE would have just loved my grandpa’s. My mother made them for the Church bazzare one year that proved to be a sell out that inspired her to keep making more. I love chocolate and your version added two ingredients that made all the difference in taste–salt and brown sugar. I decreased the sugar to 3/4 cup each and the flour to 3/4 cup also as my box recipe was turning out dry even if I didn’t overcook. Thank you for sharing. Sorry I don’t have the fruit cake recipe as I my sister always made all the sweets in our family and has passed away recently. I loved to do the meat and potato main course cooking. As teens we always told each other we should open a diner…her cream puffs and pies were the best! Can this recipe be adopted to gluten free? Can another type of flour be used? I made these brownies in a single batch and they were gone in two days. I now have a double batch in the oven and I plan on making them for thanksgiving. These are great and the consistency is so spongy and moist. I love how they aren’t too sweet. Thanks!